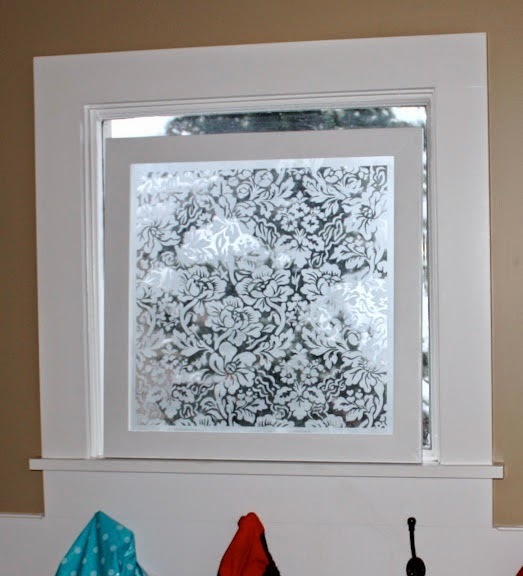 Basement windows are often a challenge to decorate because they are usually small, spaced, and high on the wall - a recipe for decorating disaster. This post provides solutions for these problem windows based on the premise that simple is best. Keeping things light and airy will not draw attention to the negatives of small size and awkward placement. All links to these spaces can be found on my Pinterest board . 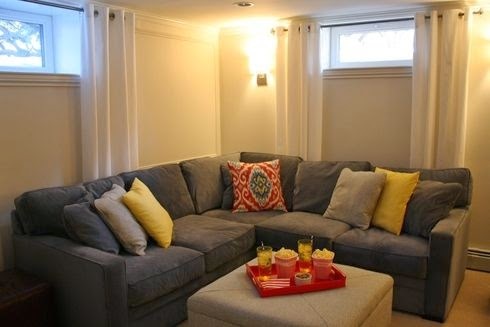 This space would work equally well without the valances if you like a less layered look. Keeping everything light also detracts from the high placement as you can see in this space and the one below. 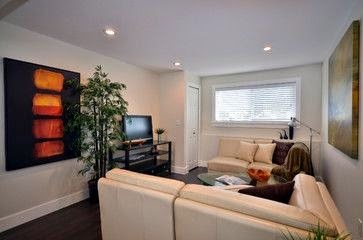 One of my favourite looks for a basement space is to keep everything light and add darks in art or accessories. White faux wood blinds are very functional because they let light in and provide some privacy in the daytime. In this room the floor acts as a great foil for all the lightness and the hits of dark in art and furniture break up the space. 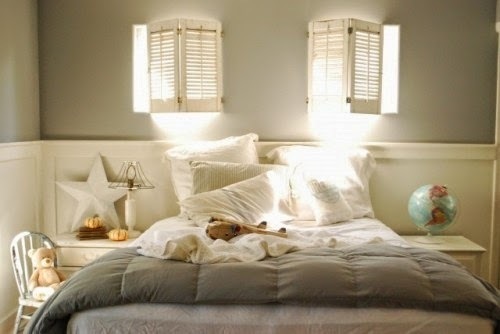 Nothing works better than functional shutters in a basement. They are sleek and unobtrusive and look tidy. What about adding something directly to the glass? Etching glass is so simple these days with beautiful stencils and spray etching available. You can also buy so many window films that provide a degree of privacy without too much fuss. If you aren't sure if you would like the look of etching try window film first because it is removable. 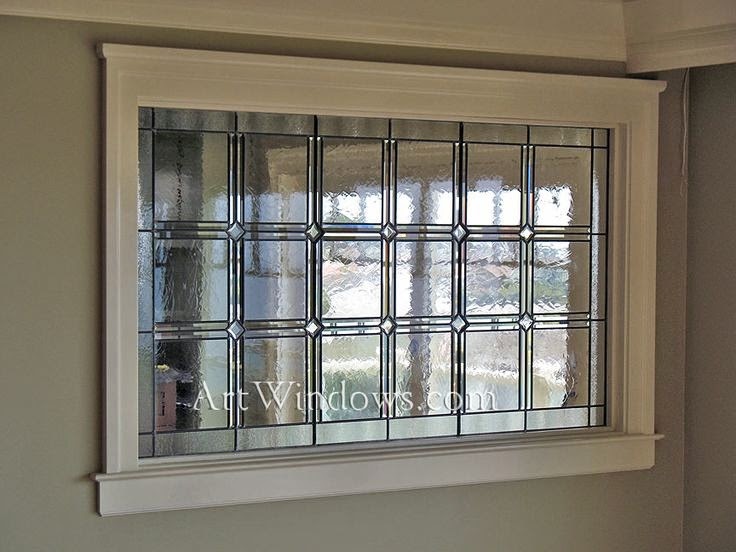 Stained glass provides interest and privacy. Sometimes draperies work with short windows. 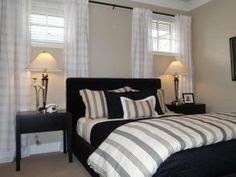 I personally prefer that they are a similar colour to the wall, but there is a place for darker ones. Because the sofa is below these windows it helps to break up the long expanse of wall below each window. Sometimes you can add something vertical below the space to visually fill in the awkward space. In my next post I will discuss more complex basement window options that are sure to wow and convince visitors that they are not in a basement. And what about your house? 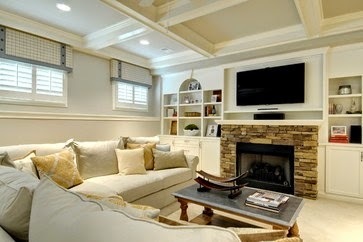 What is your preferred window treatment for basements? As per my personal choice regarding binds and shutters, I prefer white faux wood blinds as that are very functional because they let light in and provide some privacy in the daytime. In this room the floor acts as a great foil for all the lightness. An amazing article. It’s nice to read a quality blog post. I think you made some good points in this post. I am Using for homes, many quality blinds. thoughts about blinds, windows, help in decorating your interiors with new tradition.